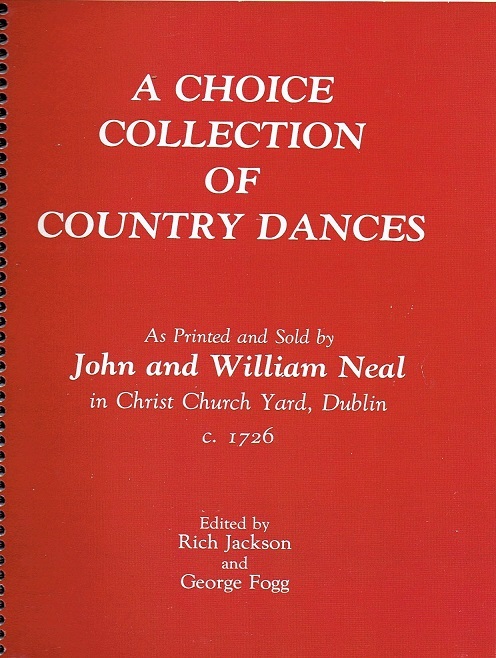 To accompany the series of compact discs, “The English Country Dance Collection,” featuring Bare Necessities, the Boston Centre and the Country Dance and Song Society are producing a series of dance booklets. Booklets are now available through Country Song and Dance Society (CDSS). The booklets contain instructions for all the dances on the cd. Three other books are also available. 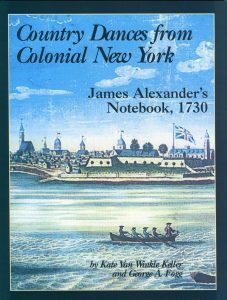 CDS BC is pleased to publish Country Dances from Colonial New York: James Alexander’s Notebook, 1730. The book is by Kate Van Winkle Keller and George Fogg. 24 dances are included, with interpretations for historical performance as well as modern alternatives. Musical notation, biographical essays, and notes are included for each dance. The book also presents a glossary of figures and a short discussion of appropriate steps and period movement. This book may be purchased from CDSS. CDS BC also has republished the old favourite Hudson Barn and Other Dances from the Boston Centre in the form of Hudson Barn II. 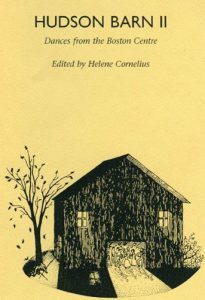 This book contains many favourite modern dances of the Boston Centre, many of which were written by Boston Centre members. Helene Cornelius is the editor, and the book includes dance instructions and written music. All of the dances from the original edition are reprinted, and several new dances have been added as well; a list of dances is available. This book is available from our Office Manager and from CDSS. in Christ Church Yard, Dublin, c. 1726, edited by Rich Jackson and George A. Fogg. The Neal collection contains 59 dances, with the tune and a transcription of original instructions accompanying each dance. Illustrations of several pages of the original are included. This book is available from The Colonial Music Institute.